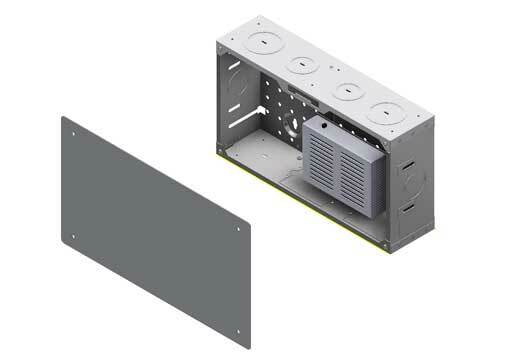 Snake Tray’s Structured Media enclosures creates a distribution point for AV, Voice and Data applications as well as providing a convenient consolidation point for wiring home runs from wall outlets. 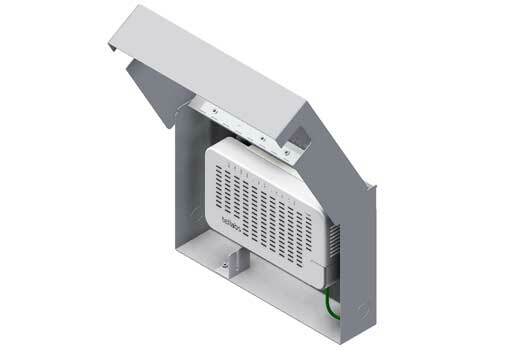 Available in 14″ and 28″, sizes to address a broad range of capacities for single family homes, MDUs, and light commercial applications, Snake Tray’s Structured Media enclosures support new and retrofit installations. Perforated back panel with multiple EKO’s. Manufactured from 20 GA galvanized steel, Powder Coated beveled screw on front panel. 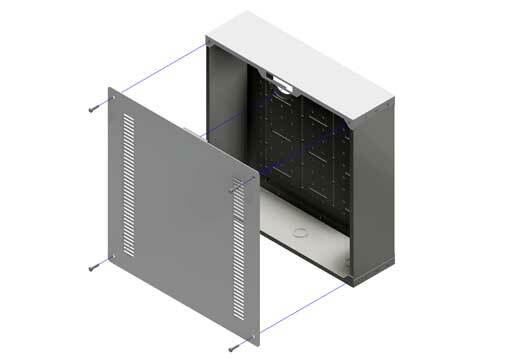 Structured Media enclosures for AV, Voice and Data applications, and consolidation point for wiring home runs from wall outlets. Support new and retrofit installations. Perforated and slotted back panel with multiple EKO’s. 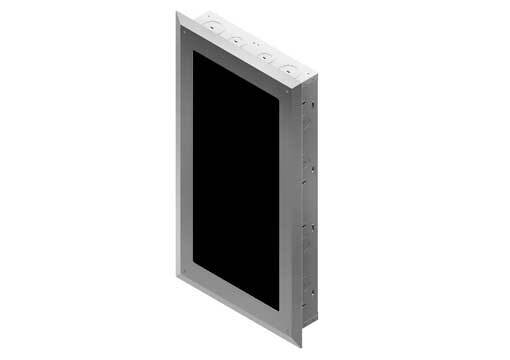 Manufactured from 20 GA galvanized steel, Powder Coated flush ventilated screw on front panel. 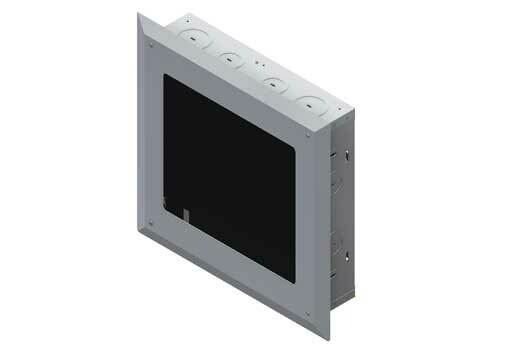 Recessed wall mounted enclosure with plexiglass window for storing wireless transmitters in dorm rooms, general office spaces and hospitality environments. 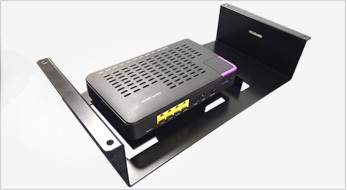 It provides a secure 14” wide by 14″ high space for equipment up to 3″ deep. Perforated back panel with multiple EKO’s. Manufactured from 20 GA galvanized steel, Powder Coated beveled screw on front panel. 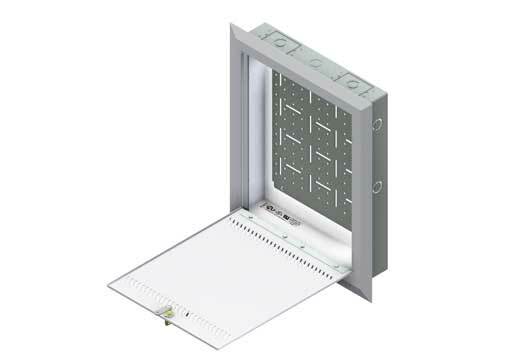 Recessed wall mounted enclosure with plexiglass window for storing wireless transmitters in dorm rooms, general office spaces and hospitality environments. It provides a secure 14” wide by 28″ high space for equipment up to 3″ deep. Perforated back panel with multiple EKO’s. 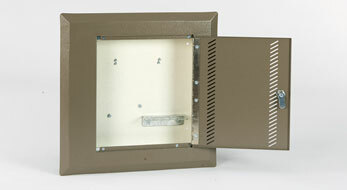 Manufactured from 20 GA galvanized steel, Powder Coated beveled screw on front panel. Designed for utility environments where surface mount is most practical. 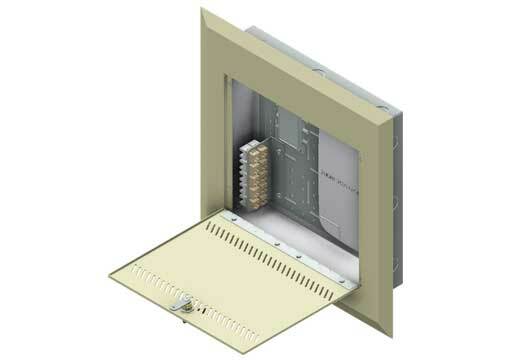 Recessed wall mounted enclosure with flush mount cover . 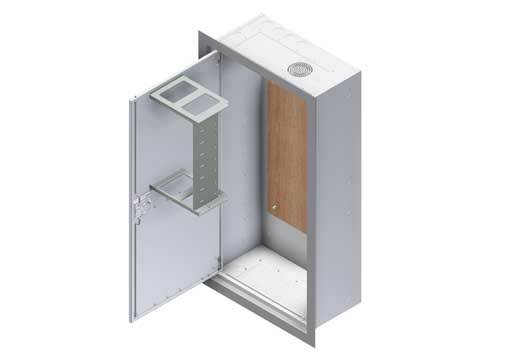 Offers a secure consolidation point for open offices, small horizontal closets, Mini ONT and multimedia installations. Use in dorm rooms, general office spaces and hospitality environments. 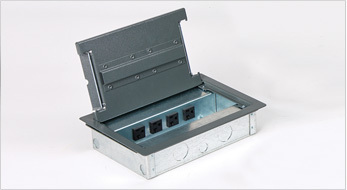 Provides a secure 14”wide by 8″ high space for equipment up to 3 ½ ” deep. Perforated back panel with multiple EKO’s. Manufactured from 20 GA galvanized steel. 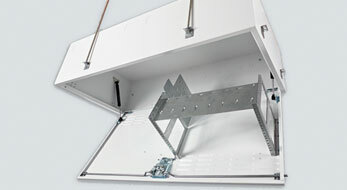 Available with solid or ventilated screw on front panel. 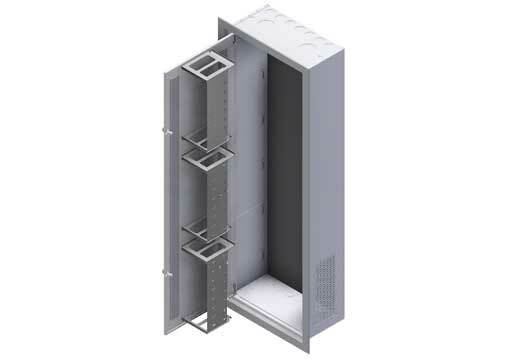 Applications: Secure consolidation point for open offices, small horizontal closets, ONT and multimedia installations. 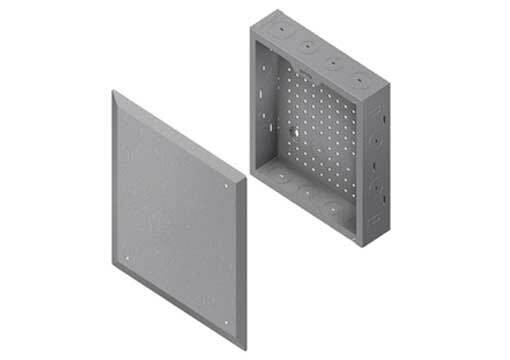 Flexible mounting between studs in existing or new construction. Architecturally pleasing metal bezel with hinged door complete with vented louvers. Powder coated for seamless integration into any office environment. Applications: Secure consolidation point for Distributed network equipment. Lessens the heat load and density in the Telecom Room (TR). 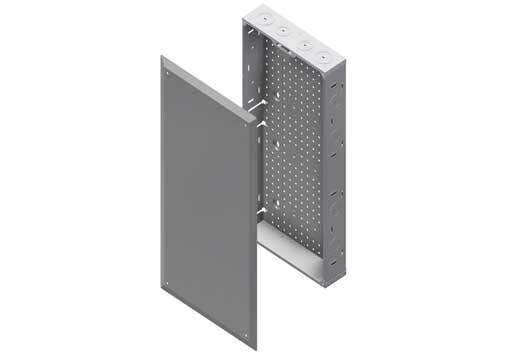 Flexible mounting between studs in existing or new construction. Architecturally pleasing metal bezel with hinged door complete with vented louvers. Powder coated for seamless integration into any office environment.